James Arnold Ramsey was born in Wiscotta, Iowa on October 26, 1941 to Jesse and Louise (Swanson) Ramsey and passed away January 10, 2019 at his daughter's home Michelle Rasmussen in Guthrie Center, Iowa after battling with dementia. A memorial service will be held Saturday January 19, 2019 at 10:00am at Caldwell Parrish Funeral Home – McCalley Chapel in Adel, Iowa. A visitation will take place Friday January 18, 2019 at the funeral home. Family will greet friends from 5:00pm-7:00pm. In 1965 James married to Marilyn Joyce Travis. 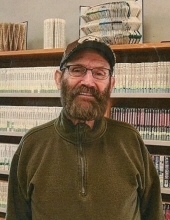 Besides making a home for his family, his interests included fishing, hunting, snowmobiling, walking, reading western books, watching tv and playing his harmonica James truly enjoyed spending time with family and friends. Preceding him in in death were his parents, brother Charles Ramsey Sr and sister Joanne Moen. Surviving are his three children: James C. Ramsey of Des Moines, Iowa, Michelle L. Rasmussen of Guthrie Center, Iowa and Joyce I. Salva of North Richland Hills, Texas; a brother Robert Ramsey Sr of Dover, Arkansas and sister Ruth Dwinell of Redfield, Iowa; along with numerous grandchildren, great grandchildren, nieces, nephews, other relatives and friends. Memorials may be directed to his family for future designation. To send flowers or a remembrance gift to the family of James Arnold Ramsey, please visit our Tribute Store. "Email Address" would like to share the life celebration of James Arnold Ramsey. Click on the "link" to go to share a favorite memory or leave a condolence message for the family.